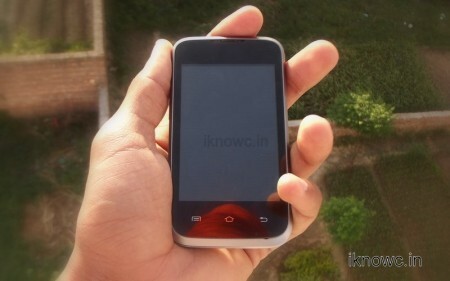 We tested Micromax A54 Ninja 3.5 for 15 days and now we are reviewing the device . Micromax A54 runs on Android 2.3.5 ( gingerbread ) . Micromax A54 draws it strength from 1GHZ Qualcomm 7225AA processor. Micromax A54 is powered by 1300mAH battery which gives you around 3.5 hours of talktime and upto 6.5 days of standby time (150 hours ). Ninja3.5 has 3MP fixed focus camera . Micromax A54 ninja3.5 has 256MB of ram and and 512mb ROM ( 130 mb internal memory for installing apps ) . 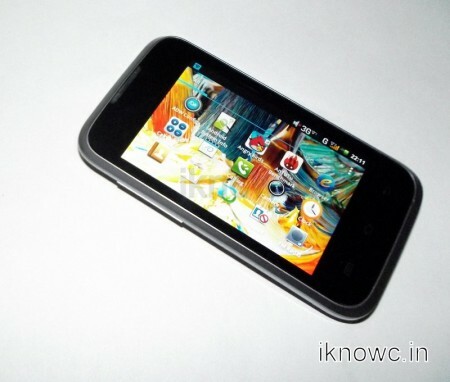 Micromax A54 Ninja3.5 is also known as Micromax A54 Smarty 3.5 . Ninja3.5 Smarty 3.5 has 3G , 2G , wifi 802.b/g/n , Bluetooth , GPS , micro usb & 3.5mm audio jack connectivity. The device does have motion sensor but is highly unresponsive . Motion sensor on the Smarty 3.5 is not ideal for playing motion sensor gaming. Micromax A54 Smarty3.5 has 3.5inch Capacitive display having resolution of 320 x 480 which is consider to be ok for 3.5inch screen size . 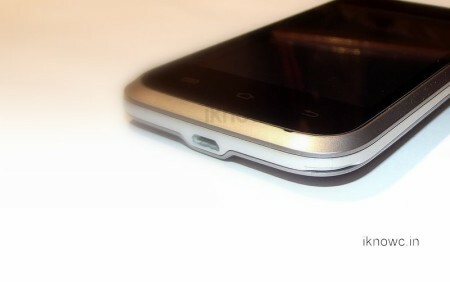 The device has premium look and its design looks like a HTC smartphone . 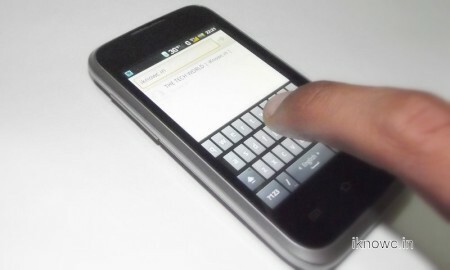 Ninja3.5 Smarty3.5 has three touch sensitive buttons at the Front- Bottom . At the rear Ninja 3.5 Smarty 3.5 has 3MP FF camera and loudspeaker at the rear – bottom . Overall the look of Micromax A54 Smarty3.5 is nice and the device is easy to hold in the hand because of its approachable size . Micromax A54 is extremely well built . The Loud Speaker of the device is loud and clear too . The microphone Micromax used in the handsets is amazingly clear and gives out pretty sharp audio . 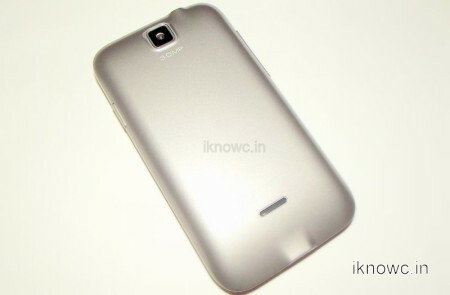 The body of Micromax A54 Smarty3.5 is made-up of hard plastic . So over all the built of the device is also ok . The device takes 2 SIM CARDS ( 3G + 2G ). Micromax A54 Ninja3.5 has 3.5inch capacitive display of 320 x 480 resolutions . The display is bright but some time it is not visible in direct sunlight . Pinch to Zoom is smooth . Touch response from the device is smooth . Micromax A54 Ninja 3.5 draws its strength from 1GHZ single core processor paired with 256MB ram . You may fell minor lags while doing multitasking in the device . We recommend you to install some Light memory launcher from Google play store for better performance . Due to low ram graphic intensive games cannot be played . But basic games like – angry birds ..etc can be played without nay kind of lag . Signals on the device are good but it takes some time to regain the signals when you move place to place . Internet speeds & wifi speeds re also good but both depends on network you are using .Browsing on the device is smooth we didn’t find any lag while surfing the Internet . Micromax NINJA3.5 Smarty 3.5 does have GPS, which also works properly . No doubt , basic games can be played without noticing any lag but high graphics intensive games cannot be installed due to its low RAM memory . You can see that in our Full video review of MICROMAX A54 for more details . The device has 3MP fixed focus camera . Micromax A54 ninja 3.5 Smarty 3.5 can capture 640 x 480 resolution videos . As the device has 3MP camera so the image quality is again ok . We don’t think you can accept more from the device at this price , as it just cost you less than RS 4,700 . Benchmark scores – 1292 . 3.5inch Capacitive Display (320 x480pixel resolution ) . 1GHZ single core processor . 256MB RAM & 512MB rom (130mb internal memory free for installing apps ) . 3G , 2G , wifi 802.b/g/n , Bluetooth , GPS , micro usb & 3.5mm audio jack connectivity . Micromax A-54 Smarty 3.5 is a budget Android smartphone which is powered by 1GHZ single core processor . Overall the device delivers all standard features that you accept from the an Budget android device . We didn’t find any issue with the device other than MOTION sensor . Motion sensor on Micromax A54 Ninja is not much responsive . Micromax A54 NINJA3.5 Smarty3.5 would be the best android smartphone that you can buy at RS4,500 (if you just neglect gaming performance ) . Karbonn A6– Karbonn A6 has 1GHZ processor & has 4inch IPS display . But Karbonn A6 doesn’t have 3G capability . Micromax A72 canvas viva – Micromax A72 canvas viva is entry level android device . Micromax A87 ninja 4.0 . UMI XE- UMI Xe is new single core android device from UMI runs an android 4.0 . But overall again Micromax A54 ninja 3.5 has better specs .